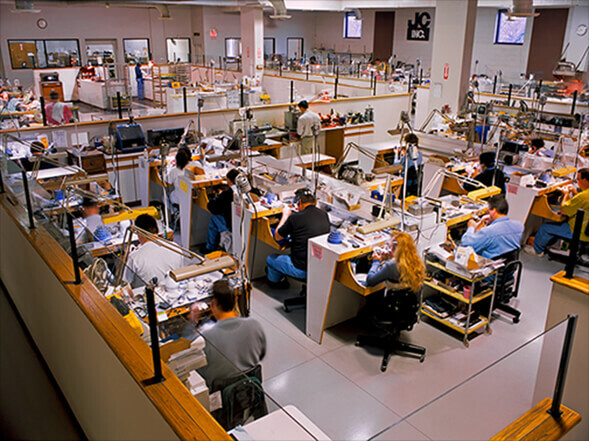 Since its inception in 1947, Jewel-Craft, Inc. has provided quality jewelry services as a family-owned and operated company. Our timeline documents Jewel-Craft’s 70-year history, including notable company milestones and rapid growth along the way. 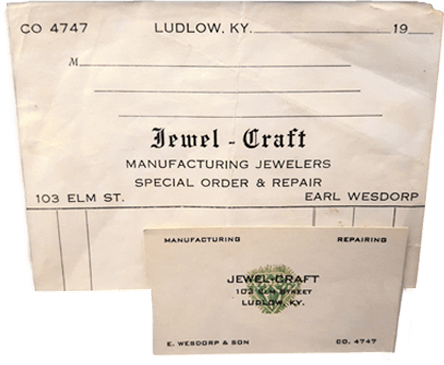 Earl Wesdorp opened Jewel-Craft after working for many years as a Master Jeweler for various companies. Earl and his brother, Howard, inherited all of their trade skills from their father, Charles Wesdorp. Charles was a retiree of Litwins Jewelers, based in Cincinnati, OH. 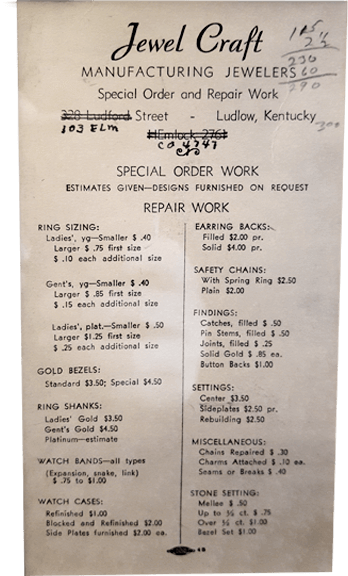 Working out of the attic above his detached garage in Ludlow, KY, Earl provided jewelry repair services to local retail stores. Jewel-Craft was the first jeweler in the tri-state area to provide pick up and delivery services to local jewelry stores. From the start, Jewel-Craft was focused on providing premium jewelry services and exceeding customer expectations. 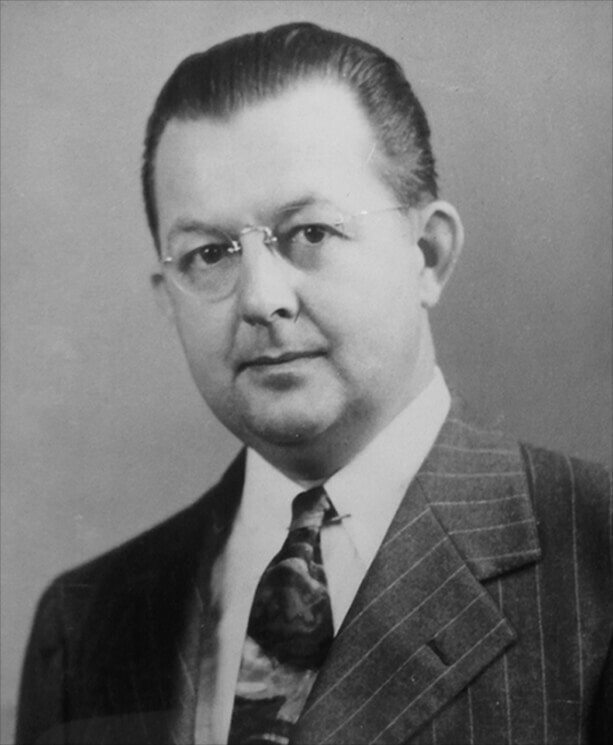 Earl's Son, Robert E. Wesdorp, joined his father as a jeweler. During a rush delivery of a ring sizing job, Earl was struck on his motorcycle and pass away the following morning. The second generation of Wesdorps, Robert and his wife, Dorothy, took over the family jewelry business. 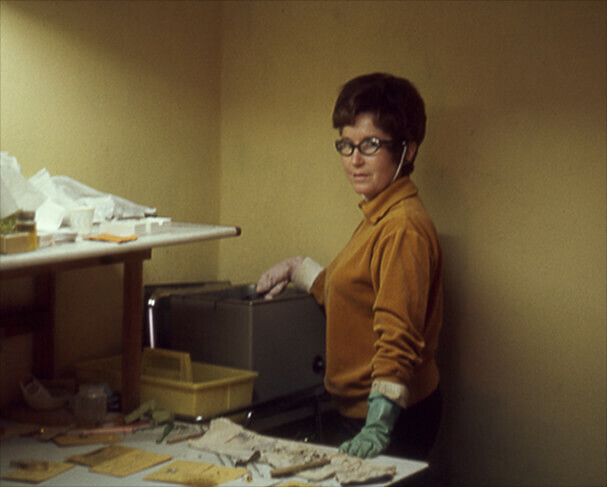 Dorothy at the ultrasonic cleaner. Robert and Dorothy moved Jewel-Craft to the basement of their home in South Newport, Kentucky. Robert and Dorothy moved Jewel-Craft again. 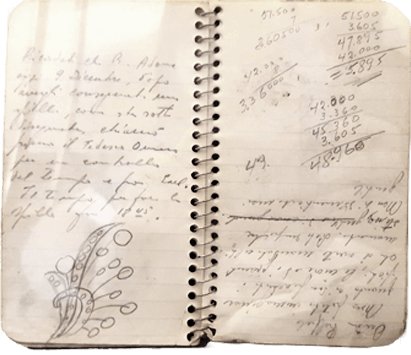 This time to the basement of their home in Ft. Wright, Kentucky. 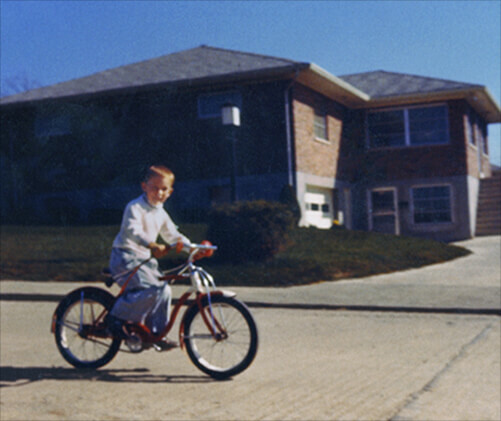 Gary Wesdorp riding his bike in front of the new Wesdorp home in Ft. Wright. A very young Benet Wesdorp showing an early interest in the jewelry trade. 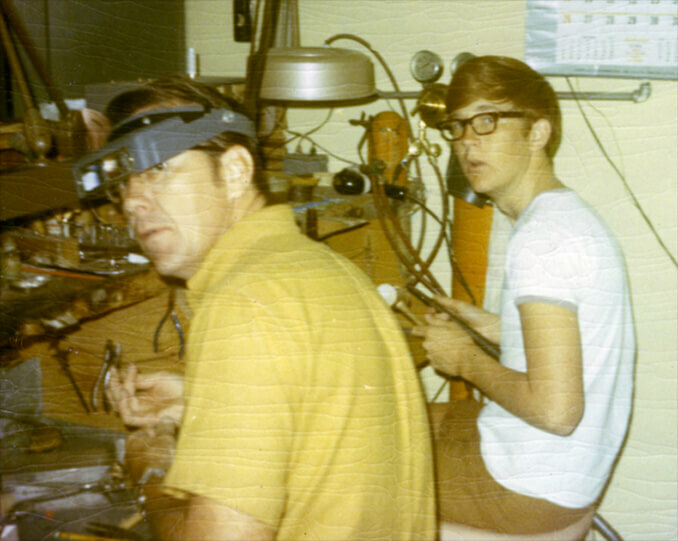 Dorothy taught her eldest son, Gary to polish his first piece – joining the bench at the age of 13, Gary began to learn all facets of jewelry repair from his parents. Gary working with his father Robert at the bench. 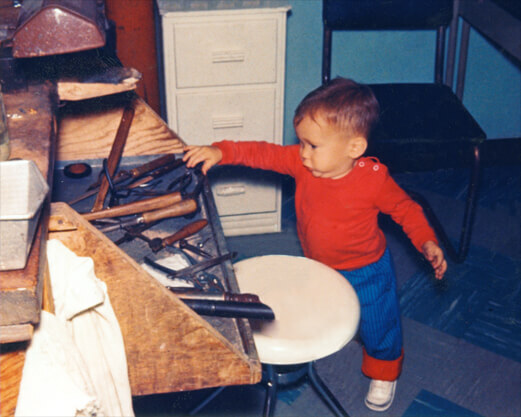 Robert and Dorothy's son, Benet, joined the bench to learn the tools of the trade alongside his older brother. Delivery jobs now began to span three states, with some jobs requiring Jewel-Craft to go as far as 120 miles from the business. 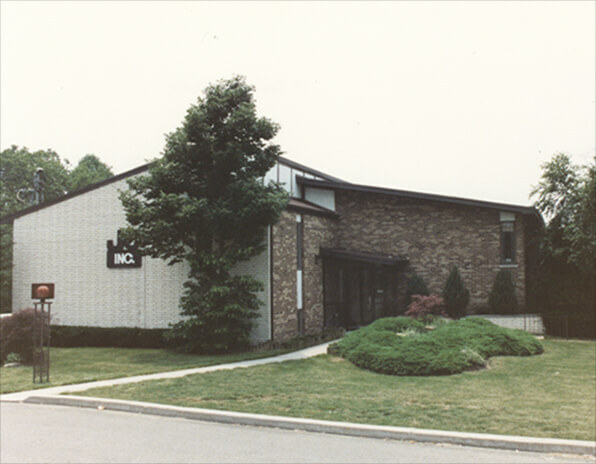 By 1977 Jewel-Craft grew to 11 employees and the company became incorporated. Robert and Dorothy worked side by side while also raising their family in Ft. Wright, Kentucky. Gary and Benet joined the family business full-time. The Wesdorps purchased land and built a 4,200 sq. ft. facility in Crescent Springs, Kentucky. The family moved the business in just one weekend, without missing a single day of work in the process. To meet the demand of its growing business, the family expanded the facility in Crescent Springs to 10,000 sq. 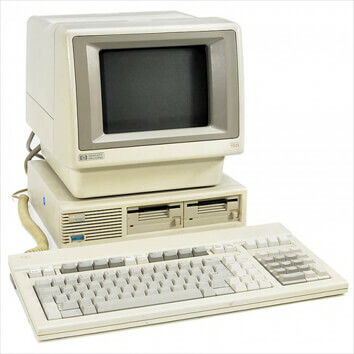 ft. Jewel-Craft purchased its first computer and began providing job-tracking services. 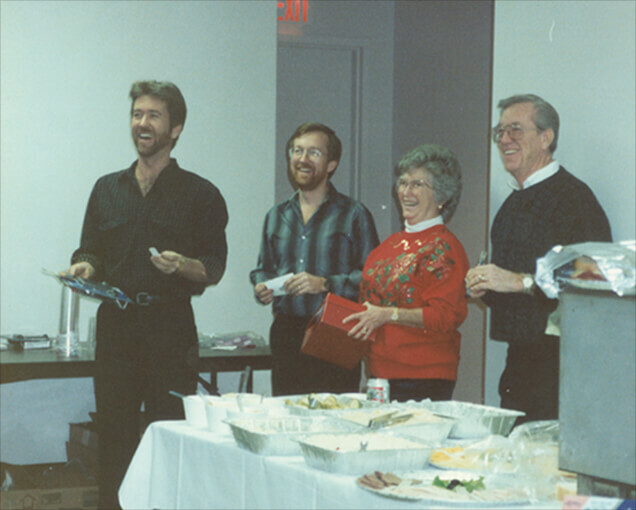 Robert and Dorothy retired and passed the torch to their sons. Passionate about the family business, the brothers began their new roles as managers of Jewel-Craft, Inc.
Gary and Benet purchased land and built a 23,000 sq. ft. facility in Erlanger, Kentucky. Once again the family moved the business in a single weekend, without missing a beat. As the Wesdorp family continues to grow, so does the team. 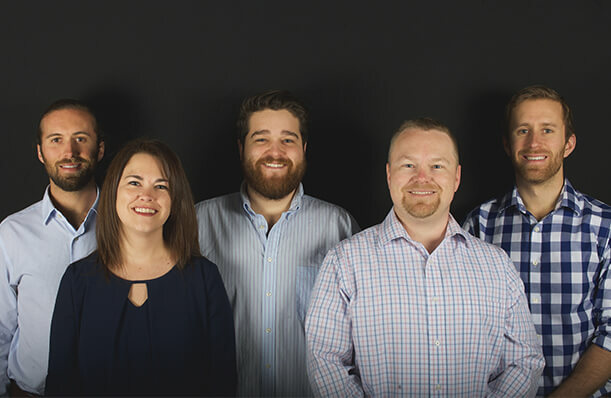 Jewel-Craft now welcomes Nick, Stefanie, Ross, Jerah, and Walker Wesdorp to the family business. 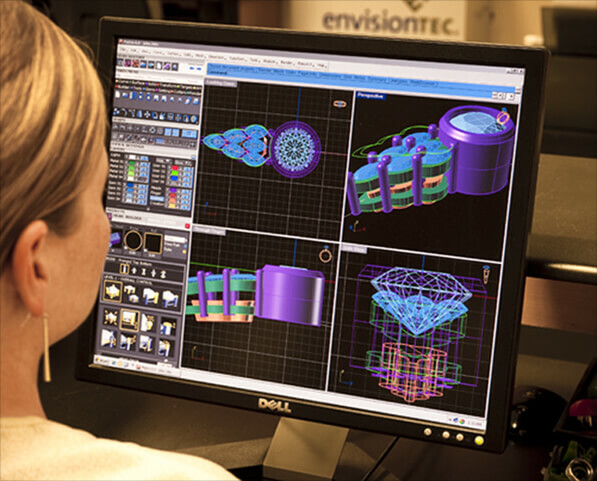 Jewel-Craft invested in new technology and began to offer advanced CAD services. 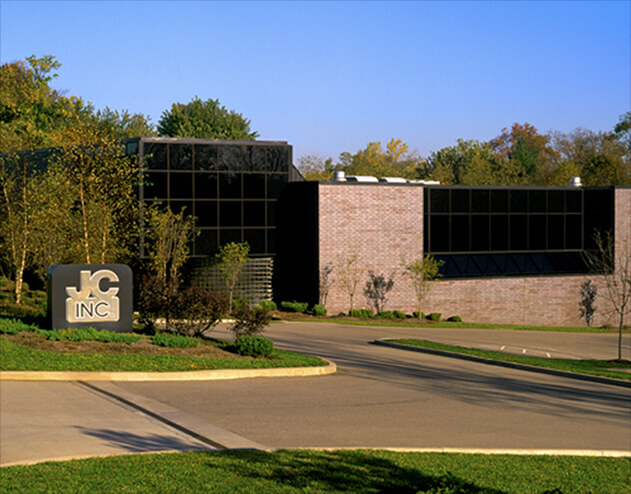 As the business continued to flourish the Erlanger facility was expanded to 30,000 sq. ft. to accommodate new technology, new employees, and a growing clientele. With the launch of the Insignia Collection, Jewel-Craft began to offer manufacturing and custom design services to jewelry stores, distributors, wholesalers, and niche designers. The collection encompasses everything from logo pieces to fine jewelry. Jewel Craft celebrated the addition of their 100th employee and was now servicing over 3,000 retail jewelry stores across the country. Even with the rapid growth customer satisfaction remained the top priority. Jewel-Craft was awarded the 2009 RJO Vendor of the Year for Service and Specialty Goods. Hand selected by RJO members this was quite an honor. 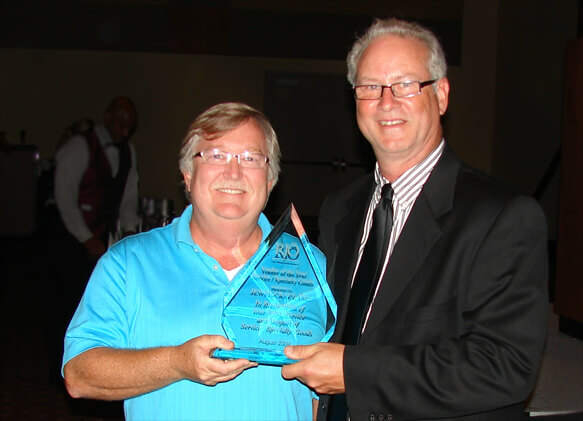 Gary receiving the Vendor of the Year award from RJO President Terry Dickens. Jewel-Craft celebrates a milestone business anniversary. It's hard to believe it, but what started as a two-person operation was now a busy company staffing over 165 employees. Jewel-Craft ventures into the licensed merchandise industry by acquiring the thriving licensed jewelry brand, LogoArt. This acquisition allows Jewel-Craft to manufacture and market officially licensed merchandise for MLB, NBA, NHL, NCAA, and more. 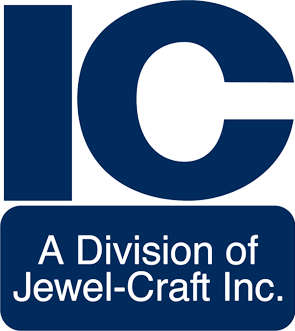 Jewel-Craft Inc., celebrated their 70th anniversary with the launch of their new website. New look, same commitment to excellence. 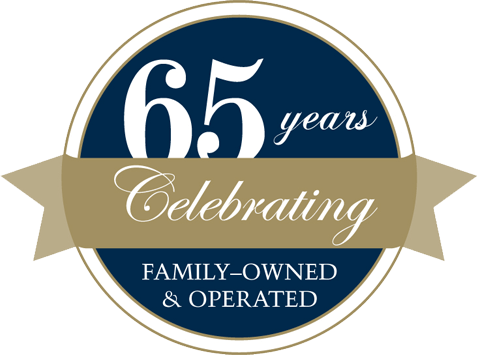 Thank you to all of our customers, partners, and staff members who have stood by us for all of these years. Looking to the future Jewel-Craft Inc. remains committed to providing our customers with the very best. In February 2017 we broke ground on a 20,000 sq. ft. expansion of our Erlanger, KY facility, we'll continue to invest in the latest technology, and we'll search far and wide to staff the best jewelry professionals in the industry. Use these buttons to navigate you through 70 years of Jewel-Craft, Inc.